Canam Structures acted in the capacity of structural steel contractor in the scope of the BMO Field renovation project. This project was executed in two phases over a 24-month period. The first phase consisted in the construction of an 8,400-seat grandstand, bringing the stadium’s total seating capacity to 30,225 spectators. 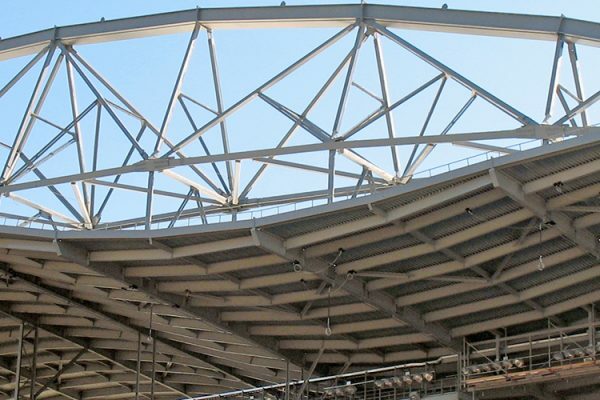 The second phase consisted in the fabrication and installation of a partial roof composed of three canopies over the east, west and south grandstands at the 10-year-old stadium. Following these renovations, BMO Field will be home to both Major League Soccer club Toronto FC and Canadian Football League team the Toronto Argonauts. 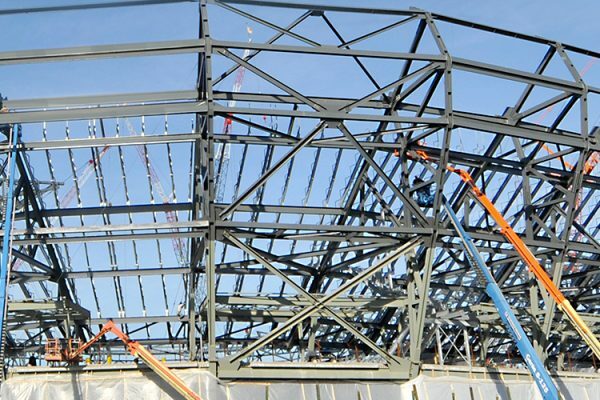 Canam Structures, along with its trusted partners, managed a complex three-canopy roof erection and completed fabrication three weeks early due to successful planning and execution. 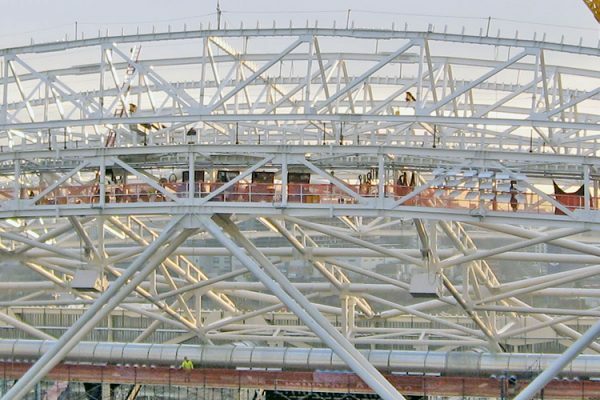 Canam Structures’ expertise was brought to bear right from the preconstruction phase in order to provide a preliminary estimate, establish a construction schedule to meet the stadium’s announced opening date, develop a construction method and ensure that all elements came together in compliance with the design of the EOR. Virtual design, another Canam Structures service, was used to demonstrate the various stages of construction according to an accelerated construction schedule. From a technical standpoint, the roof is suspended from the girder that sits above it. The roof was first assembled on the ground and then installed on shoring towers that were subsequently removed using a complex procedure. The rounded shape of the column members and main girders also required non-standard connections, all of which were designed by the Canam Structures engineering team.